The All Blacks are seen as all-conquering, yet New Zealand’s women sevens team are arguably even more dominant than their male counterparts. The Black Ferns come into the opening round of the 2017/18 HSBC Women’s World Rugby Sevens Series as defending champions, having won it for a fifth successive time last year. It gives Allan Bunting’s side a monopoly, with the women’s series having only made its debut in the 2012/13 season. Their stranglehold on success elsewhere hasn’t been quite as vice-like. The Ferns lost 15-10 to Australia in the inaugural final of the Rugby World Cup Sevens women’s tournament, in Dubai in 2009, although they claimed the second title in Russia in 2013, beating Canada 29-12. They were also beaten by old foes the Aussies in the Olympic Games final in Rio last year. On the sevens circuit though they are peerless. Yet, despite claiming five of the six tournament wins last season and finishing 16 points ahead of fierce rivals Australia, the scary thing for New Zealand’s opponents is Bunting believes they can only get better. “We certainly feel after our review last year that we were running at about 75 per cent of our potential, so there’s some huge amount of space for some gains and growth, so we’re focused on that,” said the man who took over the side a year ago, just a few weeks before the season opener in Dubai. Bunting, who is a man with huge respect among sevens players, was urged to apply by a few members of the national team and replace former coach Sean Horan. Despite the upheaval, there was no backwards step, as last year’s dominant World Series campaign confirmed. As the rise of the Black Ferns continues, they have overtaken the men’s team as the standard bearers of New Zealand sevens rugby. But with a bigger target on their backs perhaps more than ever before, Bunting says his team feel under no pressure heading into Dubai. “We’re totally focused on what our strengths are and areas we need to work on,” said Bunting. “Our men’s group have a new management team and they’re a bunch of guys who will get more consistent as they’ve gone full time, so they’ll get a lot out of that. And they’ve got a lot of room for growth which will come in the next year or so. WATCH 🎥 “We’ve got some real competition in our squad” – #BlackFerns7s coach Allan Bunting. The rivalry with Australia has rocketed up a notch with both teams dominating the early era of women’s sevens rugby. And he sees last year’s runners-up as their main threat once again. “Australia, they’re always a threat,” said Bunting. A huge seven months of Sevens Rugby is set to kick off this weekend with the opening leg of the HSBC Sevens World Series (SWS) in Dubai. The Dubai 7s is followed by World Series legs in Cape Town, Sydney, Hamilton, Las Vegas, Vancouver and Hong Kong followed by a short break for the Commonwealth Games on the Gold Coast from April 13-15. The World Series then resumes in Singapore at the end of April before finishing with legs in Paris and London in June. Teams then have a month to prepare before the season climax – the Rugby World Cup Sevens in San Francisco in July. Teams have been limbering up in various warm-up tournaments across the globe – the Oktoberfest 7s in Munich and the Silicon Valley 7s in San Francisco – putting out squads of varying strengths. But in Dubai nations must finally show their hands and reveal what they believe are their strongest line-ups – at least for the start of the season. The real surprise packets may be Australia. Coach Andy Friend has been re-building his squad over the last 18-months and it looks as if some of the players he has been bringing through are set to have breakthrough years, as shown by their trifecta of warm-up tournament triumphs. It’s a fresh-faced team. Take out the veterans Ed Jenkins (34) and James Stannard (31) and the average age of the side is just 23 with two players, Tim Anstee and Simon Kennewell, barely 20. Even more promising for the Aussies is that the bullocking Anstee (1.93m, 93kg) and the powerhouse Kennewell (1.89m, 95kg) are developing into two of the most damaging runners on the world circuit – akin to the Ioane brothers from New Zealand. Anstee put the Sevens world on notice when he ran in three tries in as many minutes against Scotland on Day One of the Sydney Sevens tournament in February, while Kennewell has been equally impressive scoring 17 tries in just 49 matches. Friend is quietly confident that his chargers will do the business in Dubai. “We’ve learned how to win, and done it in a variety of ways,” he said of their successes in Munich, Silicon Valley and the Central Coast. The reigning World Series and Dubai champions, South Africa, have gone totally in the other direction naming the most experienced squad in their history, with five players having played more World Series matches than the Australian squad combined. 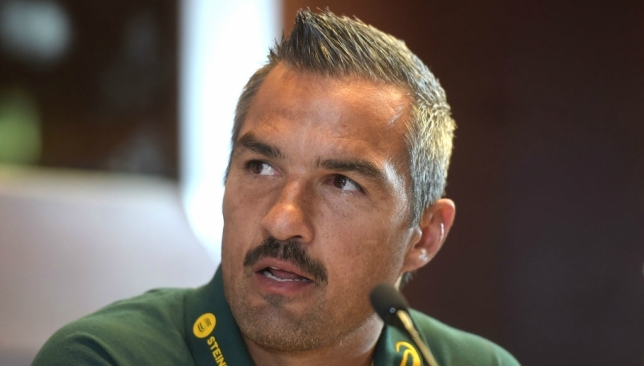 Springbok Sevens coach, Neil Powell, has welcomed back Blitzbokke regulars Kyle Brown, Kwagga Smith, Justin Geduld and Seabelo Senatla to his squad which includes three former World Rugby Players of the Year (Cecil Africa, Werner Kok and Senatla) and a 2017 nominee for the award, pace-man Rosko Specman. New Zealand, under new coach Clark Laidlaw, are playing catch-up and go into the new season without the legendary DJ Forbes and Sherwin Stowers. They will be heavily dependent on co-captains 31-year-old Tim Mikkelson and the perennially injured Scott Curry. 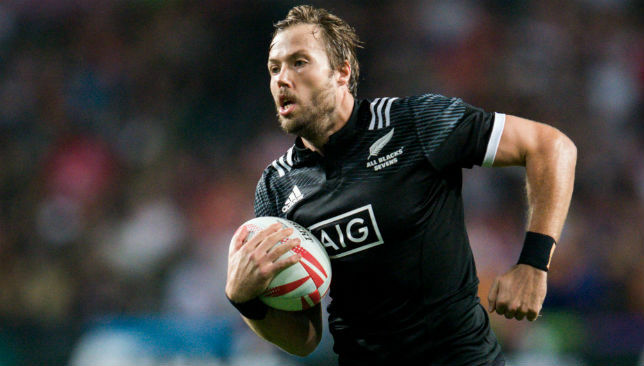 The All Blacks Sevens have now set up their permanent home in Tauranga but looking at their squad it is light on the quality of previous line-ups and they may take a while to gel. The last time crowd favourites England won the Dubai 7s was 2011 but the 2016-17 Series runners-up will again be competitive this year with plenty of stars in Simon Amor’s squad including captain Tom Mitchell, flyer Dan Norton and the hardworking James Rodwell. But they will greatly miss injured danger-man Dan Bibby. Last season saw five different tournament winners – South Africa (5), England (2) and Fiji, Scotland and Canada one each. London winners Scotland are taking great strides in both the 15-man and Sevens game but it’s hard to see them going all the way in Dubai and last season’s other surprise packet, Canada, will be quarter-finalists at best. Which just leaves the Olympic gold medallists, the Flying Fijians. They have not been the same since Ben Ryan departed and stories of them relying on the charity of local club Jebel Ali Dragons to prepare for the tournament do not instill great faith. They are captained by 2017 Sevens Player of the Year nominee Jerry Tuwai, one of the best players in the Series, but he is just one of a squad of 12 who will do well to repeat their final appearance of last year. 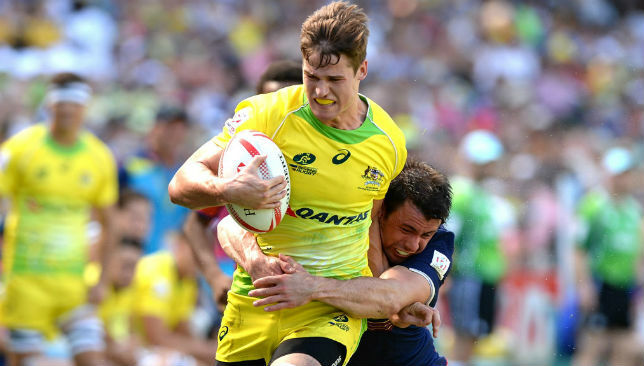 It all adds up to a tantalising, and no-doubt unpredictable, start to this year’s Series but don’t be surprised if it’s the young Australians standing on the steps of The Sevens come late Saturday night. 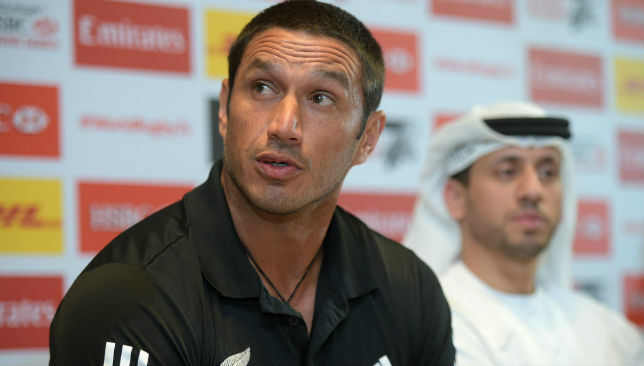 Neil Powell was speaking at the Dubai Sevens League press conference. 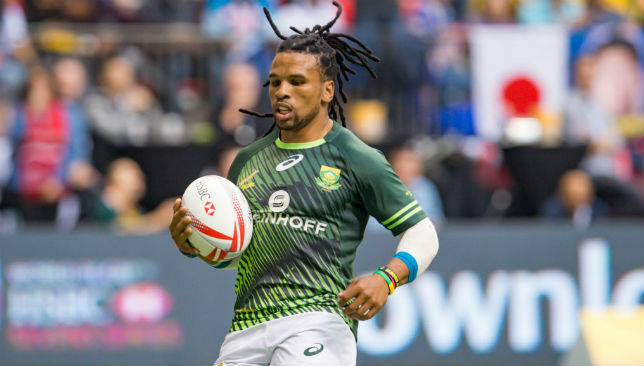 With a massive year for sevens rugby upon us, there must be huge pressure on powerhouse South Africa – yet you would not know it from speaking to Blitzbokke coach Neil Powell ahead of the Dubai Rugby Sevens. They are reigning HSBC World Rugby Sevens Series champions and defending champions in Dubai – usurping Fiji of both accolades in 2017. There are also the small matters of April’s Commonwealth Games – of which they are also champions having won the title in Glasgow in 2014 – and the Rugby World Cup Sevens taking place in San Francisco in July. It appears as if there are too many oval-shaped balls in the air for South Africa and Powell to juggle, but he’s not feeling any pressure. 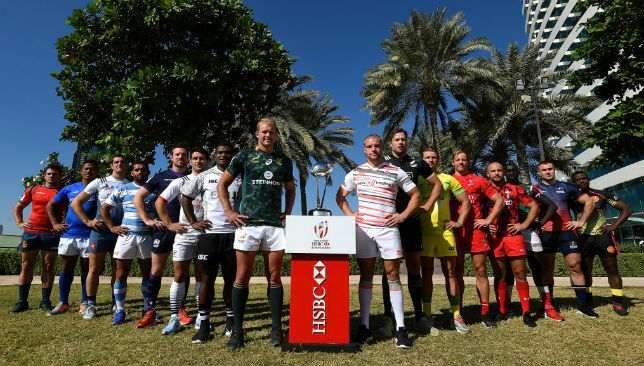 “There’s a lot of expectation but I’m looking forward to it,” said the 39-year-old at the Dubai Sevens press conference at the Crowne Plaza in Festival City. “It’s not really too much to worry about. We had a great off season, had a lot of fun planning how the season will pan out for us. Asked if the Commonwealth Games, being played on Australia’s Gold Coast, was a particular distraction, he added: “It’s a difficult one because it’s right in the middle of the season. Right after Hong Kong. 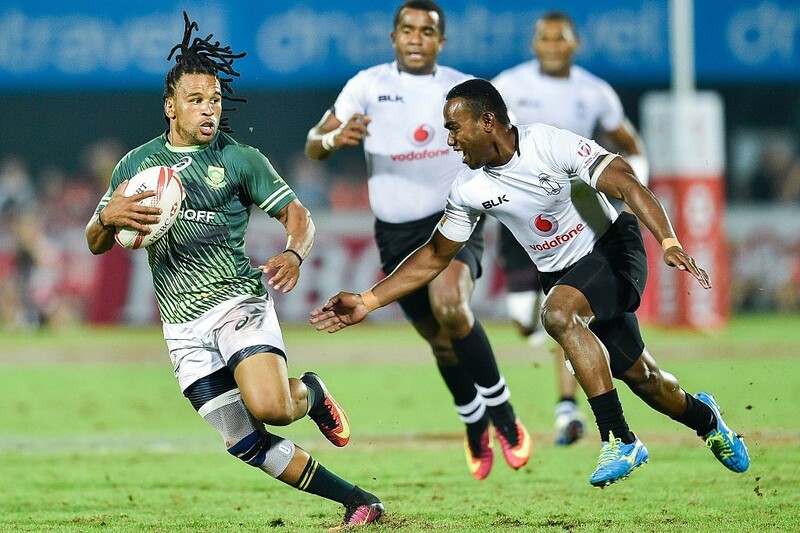 The Blitzbokke are the defending champions in Dubai. All the team’s competing in the elite men’s Sevens Series category will know the feeling coming into the new season in Dubai this weekend. It’s similar to 2016 when the Rio Olympics was on the horizon and constantly in people’s thinking. For Powell, the Olympics and Commonwealth rank higher than next summer’s World Cup Sevens because of the multi-sport aspect. “It’s a tough question,” he says when asked where the World Cup ranks. “Obviously the Olympics is the ultimate tournament as it’s the biggest sporting tournament in the world. Also the Commonwealth Games because it’s a multi-sport tournament. Also coming into Dubai as defending champions in the UAE are Allan Bunting’s New Zealand women’s sevens side. The Black Ferns, much like the Blitzbokke, are also series holders too. They have won all five editions of the HSBC Women’s World Rugby Sevens Series since being established in 2012/13. And despite claiming five of the six tournament wins last season and finishing 16 points ahead of fierce rivals Australia, the scary thing for New Zealand’s opponents is Bunting believes they can only get better. “We certainly feel after our review last year that we were running at about 75 per cent of our potential, so there’s some huge amount of space for some gains and growth, so we’re focused on that,” said the man who took over the side a year ago. And he sees last year’s runners-up as their main threat once again. “Australia, they’re always a threat,” he said.